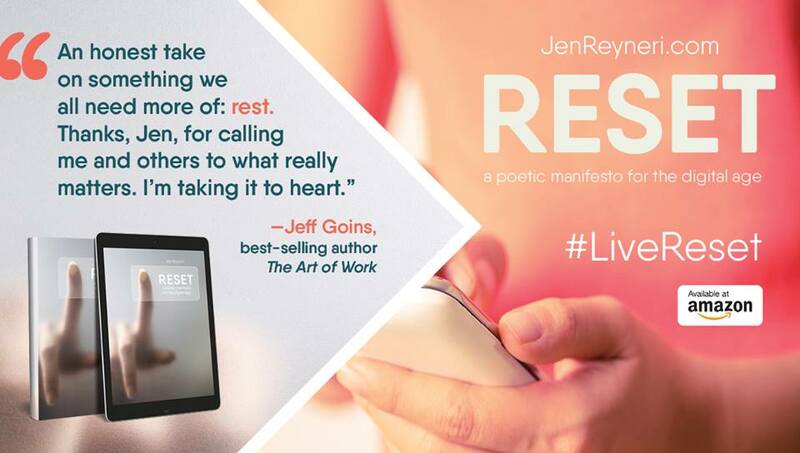 This is a guest post from my friend Jen Reyneri, founder of the Faith & Family Travel Community, WordTraveling.com and author of the inspired new short read, Reset: A Poetic Manifesto for the Digital Age. Hey, friend. The hurried holidays are back upon us. Where has this year gone? It seems like each way we turn, life keeps getting busier. It’s like when someone asks you “how are you,” the word busy is a given. Let’s use this season to get beyond the busy and get back to believing in the rest that Jesus has promised us. In the age of the ever-connected world-wide-web, it seems easier and easier to become entangled and forget where that promise of rest originated. We can easily spend more time on social media than socializing with friends, family, or setting time aside for the Lord. What if instead of filling the tree with toys and items that are used for a month and then become clutter in our children’s over-filled toy boxes, we set a budget aside to take a family getaway this holiday? Imagine the memories and blessings of a “shut down,” a time to tune-out the demands and reflect, disconnect and reconnect with the season together as a family. Family travel can be the best gift. Ok, I’m biased as a travel writer, but it’s the truth! Instead of collecting more memorabilia, add some memories to the stockings- for years to come! This post, it’s a challenge. It’s my challenge, my gift, to you. And… it’s a challenge. You know what I mean- it’s hard to set aside the social media and opt for socializing as a family over a board game or a new recipe. It’s not easy to choose to set yourself apart and be different while squashing the sale ads and comparisons of the world around you at your fingertips. Join me, friends, this season. Take the #LiveReset challenge. Take some time offline, and then come back and share what happened when you looked up and turned off, even if for a few hours. We’ve all seen people sitting together but not with each other, gathered yet looking down at some kind of device, tapping away to someone else. Make those invited to your holiday event aware that your event is full-service and has “No Service.” Honor each other and the time enough to stow the gadgets in a basket at the door with the sound on silent. Use the digital camera, or assign one iPhone photographer for those who want pictures. After the event, compile all the photos taken and send them to the attendees. Post them on social media LATER. Trust me, the world will wait. Talk, laugh, and enjoy the moment. break out the instruments or the simplest of card games, and watch the magic happen! Now through December 9, hop on over to Word Traveling to enter the Restful Christmas Rush giveaway, with an amazing prize pack valued over $220 from Dayspring and Jen Reyneri. 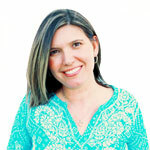 Connect with Jen on Social Media!